What are Business Development Kits? 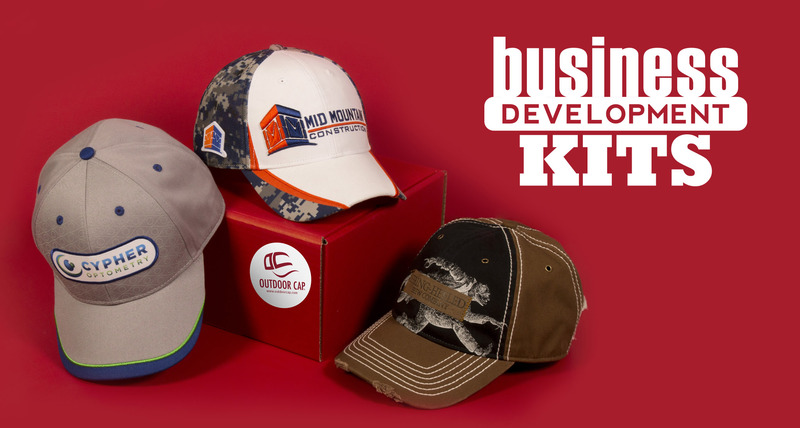 Business Development Kits are Outdoor Cap’s new marketing products designed to make selling headwear to your customers easier than ever. We’ve combined everything you need to increase your cap sales into one small box shipped directly to you. Why were the Kits created? 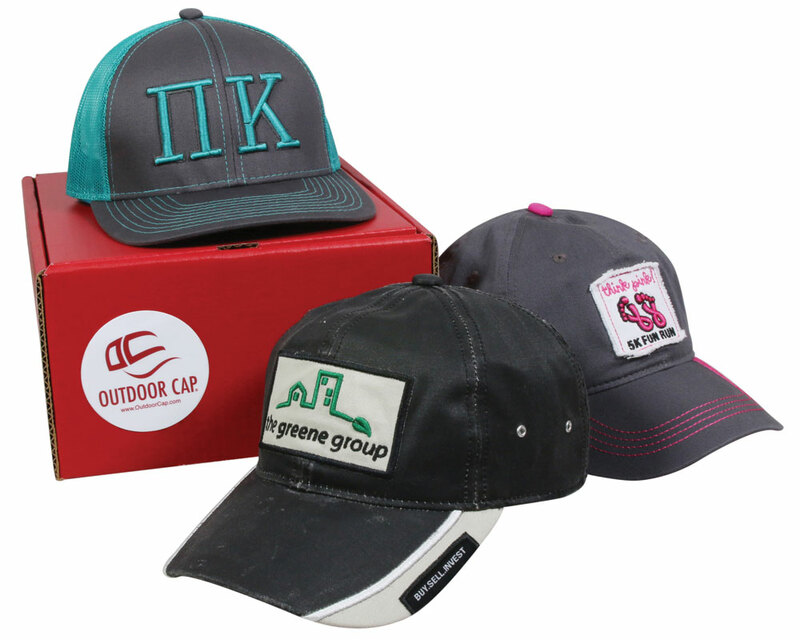 The purpose of a Business Development Kit is to expand the headwear business within the promotional product market by increasing the individual sales potential of our existing customers. Business Development Kits help you prove the power of caps as an advertising medium to new customers, within new industries. Which industries can you choose from? We will add new Kits periodically. Currently, you can choose between Education, Real Estate, Non-Profits, Health Care, Beverages, Construction, Technology, Automotive, Agriculture, Camouflage, OneTouch, Financial, Entertainment, and Restaurants. Learn about all levels of educational institutions from college to daycare and everything in between so you can have a better understanding of how to target each. Reach out to common decision makers at both private and public schools. Expand your knowledge of the real estate market as it relates to promo products. Learn tips to help you expand your cap sales by looking at all sides of the industry. Understand how to target each aspect of the real estate business. Learn how to sell caps to different types of charity events & non-profit organizations. You will have a better understanding of how to target each aspect of the business. Reach out to non-profits & event organizers to optimize sales among differing promo product usage behaviors. Learn about different medical clinics, treatment centers, and alternative medical practices so you can be confident in your approach when selling promotional caps within the health care market. Look at different stores and restaurants from coffee shops to microbreweries. We discuss alcohol distributors and sales so that you're fully equipped with the knowledge of how headwear can grow their businesses. Increase your knowledge of the entire construction industry from commercial to residential. We also look at independent contractors and equipment operators, so you can have a range of business sizes to target. Know your buyers from Human Resources to Marketing, so you can sell promotional hats that will be used to entice potential talent and celebrate startup milestones. Expand your knowledge of the automotive industry from family owned body shops to conglomerate automobile manufacturers, so you can better assist you buyers in utilizing promotional headwear. Increase your promotional caps sales to farmers and ranchers as well as craft fairs and vineyards by deepening your understanding of the market. Gain knowledge on the outdoor sports industry by learning more about companies within the hunting, fishing, and other businesses that target outdoors enthusiasts. See how to sell this unique, inventive piece of headwear to all kinds of businesses including modern markets and generational based companies from millennials to more mature demographics. Increase your knowledge of the entire financial industry including everything from credit unions to credit cards. We also cover Wall Street and insurance agencies. Know your buyers from music festivals to amusement parks, so you can sell branded caps that will be used to gain the attention of the media and public. Expand your knowledge of the restaurant sector including fast food and fine dining. We'll also look at modern, millennial-targeted businesses like direct-to-door delivery services. How do you use your Kit? Your industry specific white paper will help you think outside the box to generate ideas on expanding your sales into new markets. Once you know how to get started, you can start targeting new customers right away with your customized flyer. Use the tools in your kit to pinpoint customers within its specified industry. The white papers are full of ideas for targeting new customers and decision makers within each market. You’ll learn who to contact and how to teach them about using caps as a valuable method of advertising. Then, you can customize your PowerPoint Presentation to ensure you close the sale. Once you’ve established a relationship with your new clients, the kit’s tools can work together to help you lock down each new order. The samples we provide will show your clients decorated caps with varying customization options and delivery times. A domestically embroidered (flat stitch or 3D) hat ships only 7 days after the final sample is approved. A fully customized hat takes a bit longer to process, but it offers an array of decoration techniques in addition to embroidery. The samples show how simple and quick the process can be, or how personal and detailed the product can be. How do you order your Kit? To select your industry specific Business Development Kit, CLICK HERE. The website will walk you through the ordering process. If you've already signed up for your Business Development Kit, CLICK HERE to download your online resources. We will periodically add new Kits specific to additional industries. Order your first Kit today, and you’ll be the first to know when new kits become available.